Water bills will often spike in the summer months due to outdoor water usage. In the United States, according to the EPA, outdoor water use accounts for nearly nine billion gallons of water each day. While water use will rise in the summer months, there are several things to keep in mind to ensure your home has a water-smart landscape that’s beautiful, healthy and cost-effective. Chick with a local nursery or home center to find plants, grass, etc. that are native to this climate. Follow the suggested watering schedule below. Consider hiring a professional certified by a WaterSense labeled program that can install, maintain or audit your irrigation system to ensure it is operating efficiently while using less water. Mid-Atlantic gardening is unique with early springs and late winters, providing an unusual mix of temperatures. Below are a few tips for cutting down excess water use without putting your garden at risk – no matter what you’re growing. 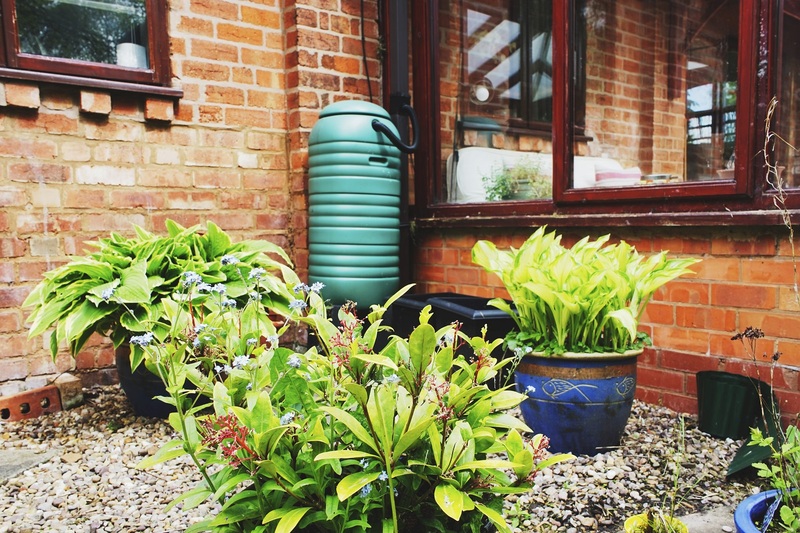 Invest in a rain barrel: These barrels collect rain fall which can be used to water plants. Watering times: Water plants before 10 a.m. or after 4 p.m.
Tending your garden: Weeds can wreck havoc on a garden by drawing away moisture. Layers of pebbles or chipped bark. Irrigation and landscape experts recommend watering every three days for healthy green plants and grass. Too much watering does not help roots grow, promotes mold and wastes water. Loudoun Water recommends the watering schedule below to promote healthy plants and turf. This watering schedule also spreads out the water demand on our system. Water your yard before 10:00 a.m. or after 4:00 p.m. to avoid excess evaporation. This can cut down on your yard’s watering needs which conserves water and saves money. Loudoun Water is committed to ensuring tap water is safe to drink, which requires customers with backflow preventers as part of an irrigation system to be inspected annually.